KYB Europe mobile app update. 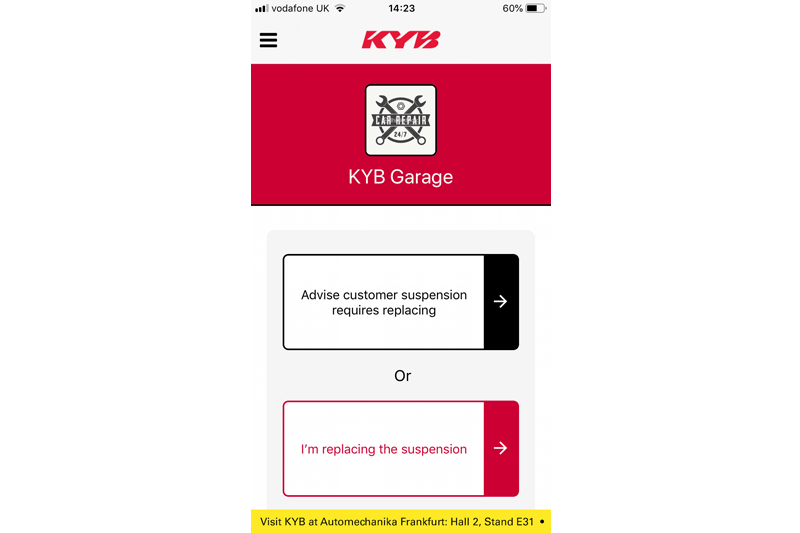 KYB Europe has launched a number of new features on its mobile App, which is designed to help workshops identify the need to sell suspension parts and communicate effectively with the motorist. Initially previewed at Automechanika Frankfurt, the features are now live for all users. Following feedback from existing users, it is now possible to include more than one photograph in vehicle reports sent to the motorist. This is particularly useful when more than one component has been replaced on a vehicle. Workshops can either select from the photo library on their device, or take a live photo in-App. Workshops now have the ability to give their messages to the motorist a more personal touch, with an option for technicians to sign vehicle reports off with their name and photo – if they wish. A news ticker has also been added, which gives users the opportunity to keep up to date with any relevant KYB news or events close to them.